My name is Sebastian Witt. I am sixteen years old, and I live in Eagle, Colorado. I have been involved in karate since I was two years old, first just watching my brothers while sitting on my mom’s lap. I started my actual karate training at four years old under James Lee. As my love for the art grows, so have my goals. I’m now focused on the most ambitious goal I’ve ever set — to compete for the United States at the international level. 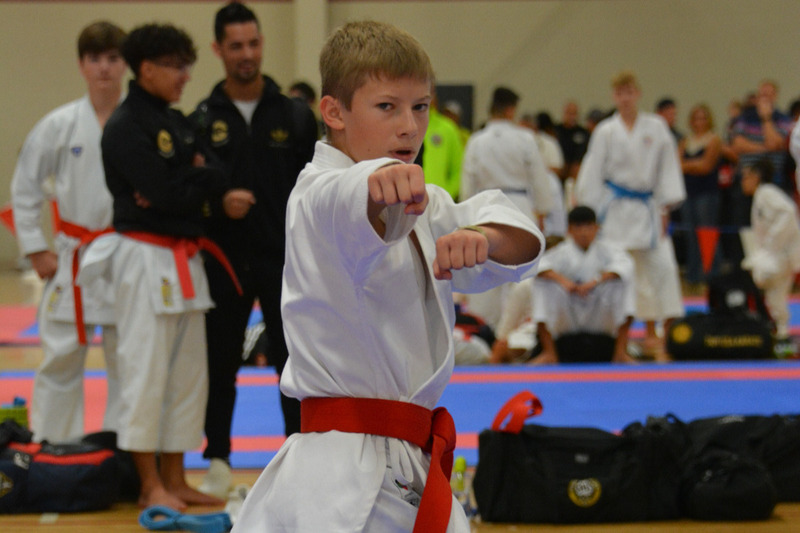 This year I participated in the AAU Karate National Team Trials in Ft. Lauderdale. 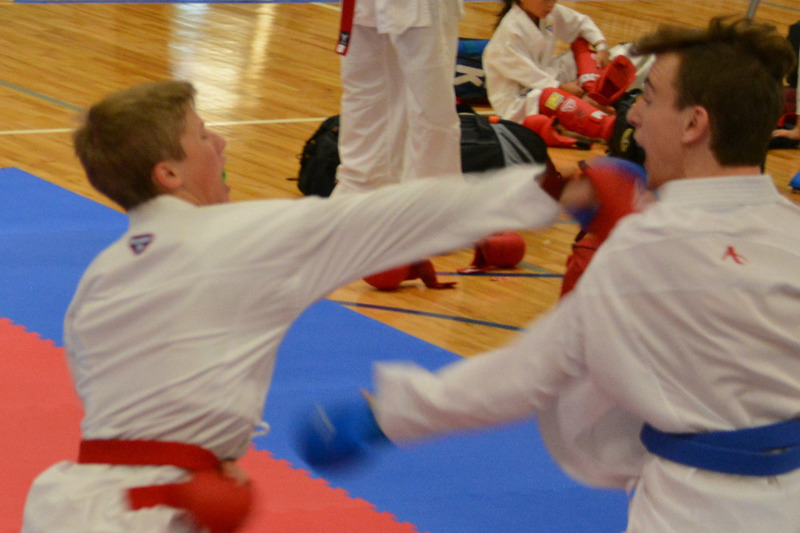 Over two days, more than 70 athletes were evaluated on their karate skills as well as overall physical capabilities. I have been chosen to compete with the team at two international tournaments this June. The first tournament is the World Combat Games in Budapest, Hungary. I was one of six chosen to compete in kata (forms) and one of ten chosen to compete in kumite (sparring). The second tournament is the World Union of Karate Federations World Championships in Bratislava, Slovakia. I have been selected for both kata and kumite for this tournament as well. I am honored by and excited for this amazing opportunity to represent the United States of America. In the two and a half months between now and the tournaments, I will be training hard to make sure I perform at the best possible level. I will also be continuing to compete in tournaments across the country this year. 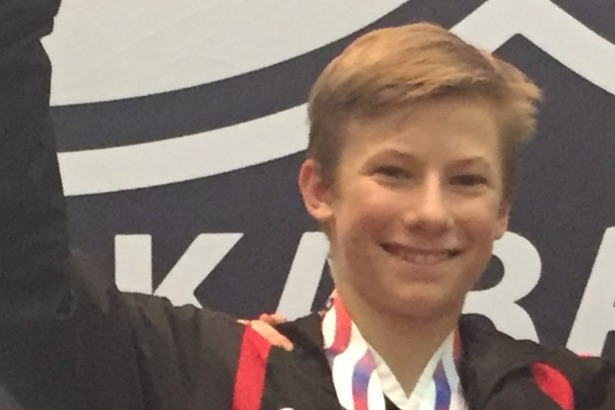 Among them are the US Open and Junior Nationals in Las Vegas; USA Karate's National Championships in Chicago; AAU Regionals in Chicago; and AAU Nationals in Ft. Lauderdale. As you can imagine, this is an expensive undertaking. I have already done fundraising on my own, and the money that I earn from helping teach at my dojo also goes towards my expenses. But I still need to find additional funds, which is why I’m asking for your support. I truly appreciate your consideration and any and all help you are able to give.